Mercedes-Benz Vans UK Ltd to launch three new trim levels to the Vito van and crew range. Launching January 2019, all Vito models will benefit from a leather steering wheel (and gear selector on manual models), comfort driver’s seat, automatic headlights, parking sensors, and will have a choice of PURE, PROGRESSIVE and PREMIUM lines. PURE level offers Audio 10 infotainment system, Active Parking Assist, parking sensors, heated and electrically adjustable exterior mirrors, an overhead control panel, and heat-insulating glass, as standard. This is available for the 109 CDI, 111 CDI and 114 CDI. PROGRESSIVE level offers metallic paint, colour-coded front and rear bumpers, Audio 15 infotainment system, electrically folding exterior mirrors, front fog lamps, cruise control, full wheel trims, and driver’s seat lumbar support. This trim level is available for all engines, except the top 119 CDI. PREMIUM level offers air conditioning, 17-inch alloy wheels, a chrome radiator grille, reversing camera, anti-theft protection package and double lock, velour floor mats, and pre-installation for Becker Map Pilot navigation. This is available for the 114 CDI, 116 CDI and 119 CDI engines. The 114 CDI is available for all trim levels to ensure that an automatic gearbox and rear-wheel drive is an option for all Vito owners, should they so choose. The Vito Tourer model will retain its two ‘PRO’ and ‘SELECT’ trim lines, with an additional ‘Sport’ trim to be added in Spring 2019. In addition, Vito lengths will be identified as L1, L2 and L3, replacing the former Compact, Long and Extra Long nomenclature. 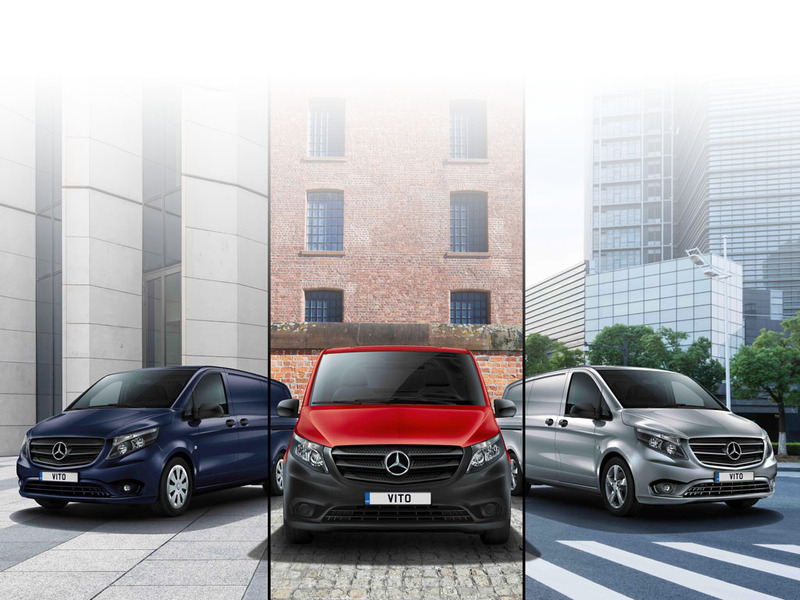 List price for the Vito 114 CDI panel van L2 starts from £23,900 for the PURE, £25,570 for the PROGRESSIVE, and £27,580 for the PREMIUM, all excluding VAT.